Maui’s first co-educational high school opened in 1913 in a small frame building at Hamakuapoko, close to bustling Paia town and near the large plantation camps of East Maui. From the start, Maui High School provided an opportunity for boys and girls to further their education in academic and vocational fields, and enabled thousands of graduates to realize their dreams of achievement and success. As enrollment rapidly grew, noted Hawaii architect Charles W. Dickey was chosen to design a large and inspiring school building, taking advantage of the site’s climate, landscape and views. In 1921 the concrete, mission-style administration and classroom building was opened, at a cost of $66,000. Over the years, many more classrooms were added to the 24 acre campus, as well as teachers’ cottages, a gymnasium, an agricultural complex, athletic fields and a cafeteria. 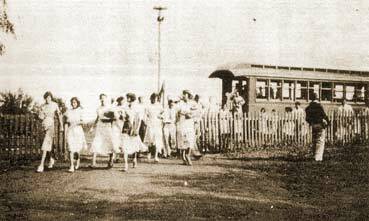 Students came from surrounding communities, central Maui and Upcountry, often by horseback, via Kahului Railroad trains or buses, or over the well-worn footpaths from neighboring plantation camps. In addition to classes, there were many clubs and activities for the students. The athletic achievements of the mighty Sabers teams were many, in football, basketball, and other sports. Proms, dramatics, pep squads, student government and other special events made school days fun and memorable, helping to forge enduring friendships. 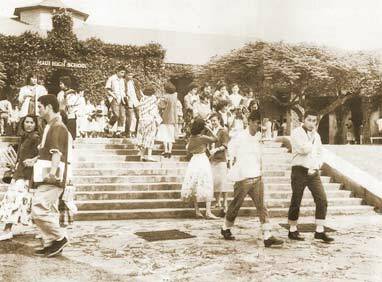 By 1939 enrollment reached 1000, but began to steadily decline after Baldwin High School was built and plantation camps closed as families moved to modern subdivisions in central Maui. 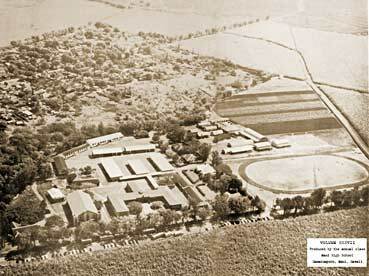 In 1972 a new Maui High School opened in Kahului. The old Maui High closed its doors, beginning years of decline and deterioration. By 2003, overgrown greenery all but obscured the arches and spires of Dickey’s beautiful building. The roof disintegrated and windows were shattered. But underneath the graffiti and debris, the concrete walls stood firm. Just in time, a determined volunteer group of alumni, construction specialists, and community members came to the rescue. This group, the Friends of Old Maui High School, is working to clean up, secure and preserve the historic school, in order to revitalize it as a focus of community pride an inspiration once again. The Friends are working with government and private groups to develop a preservation plan, obtain funding and eventually rehabilitate the Dickey-designed building. Their vision includes a self-sustaining education and community resource center, continuing the legacy of one of the school’s most noted graduates, the late U.S. Representative, Patsy Takemoto Mink (class of 1944). 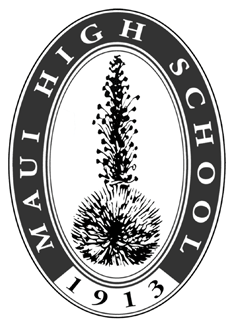 As a significant part of Maui’s history, the Old Maui High School is a symbol of our community’s values, the aspirations of diverse hard-working families and the loyalty and accomplishments of her thousands of alumni. The Friends of Old Maui High School invite you to share their vision and join their effort to preserve this important historic site, as well as its memories, traditions and history.